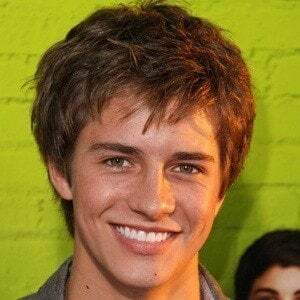 Formerly known as Billy Unger, he became known to audiences for his role as Chase Davenport in the Disney XD series Lab Rats. He has won multiple Young Artist Awards for various roles. He moved to Los Angeles with his family at the age of 11 to pursue acting and spent his free time surfing, skateboarding, and playing guitar. He appeared on Terminator: The Sarah Connor Chronicles and Desperate Housewives and won a Young Artist Award for Best Performance by a Supporting Young Actor in the 2010 film You Again. He was born to William and Karley Unger in Palm Beach County, FL. 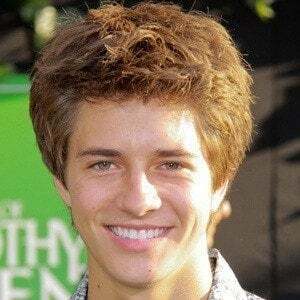 He has a younger brother named Eric Unger and an older sister named Erin Unger. He began dating Angela Moreno in 2010. They married in Paris in 2015. They share a son named Devon. He played Charles Gates in National Treasure: Book of Secrets alongside Nicolas Cage in 2007.